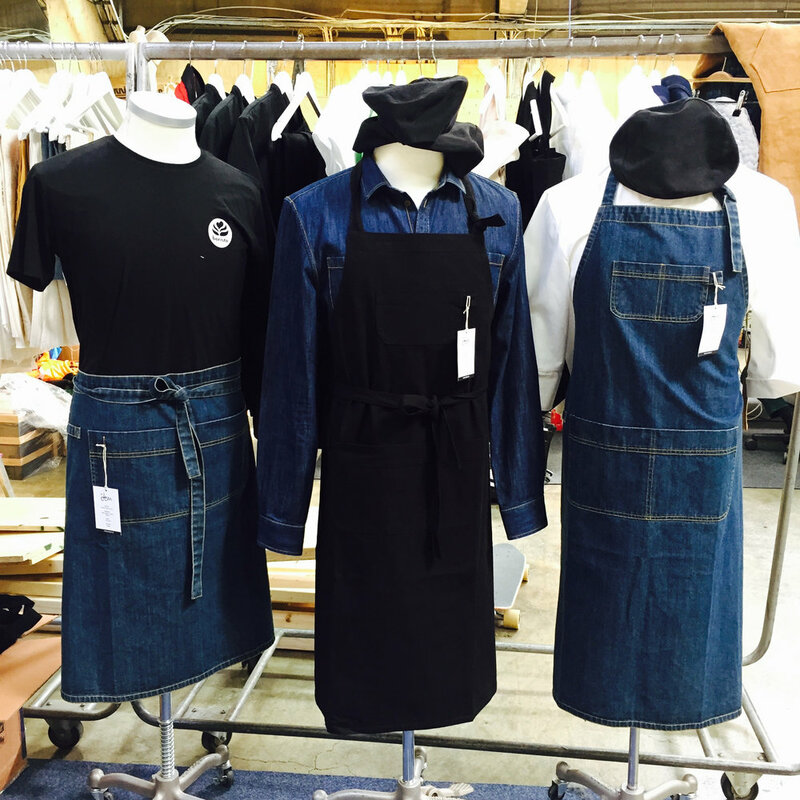 Sustainable, ethical, and environmentally produced work clothes for professional kitchen staff, gardeners, and all the home steaders out there. Enjoy wearing these for a long time. We realized there is a need for restaurants and kitchens, cooking and serving organically grown and local food, to bring their ethics to the clothing everyone uses when cooking and baking. Classic cuts, sturdy material, and hand crafted in a sustainable environmental and socially fair way.